As it’s Wednesday, most of the parties I heard about (including the super-fun one I attended) happened this past weekend. Lucky for you, that means I can share my fabulous costume idea today! You are welcome. 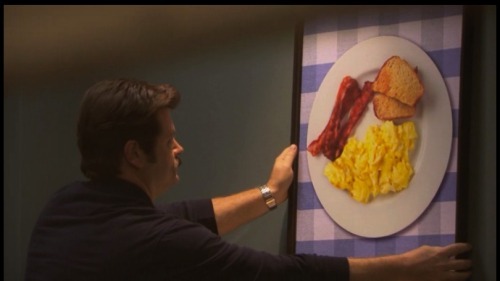 Inspired by one of my favourite shows o’ the moment, I paired one of the main Parks and Recreation characters, Ron Swanson, with one of his identifying character traits: a love of breakfast. My goal was to make a creative set of costumes for around $10 or less. It was pretty easy to use some of the craft materials I already owned and supplement them with just a few quick items from the dollar store. How about you? Any creative and budget-friendly costumes you thought of this Hallowe’en?